Sign up and receive Property Email Alerts of Houses for sale in Haatso, Accra. 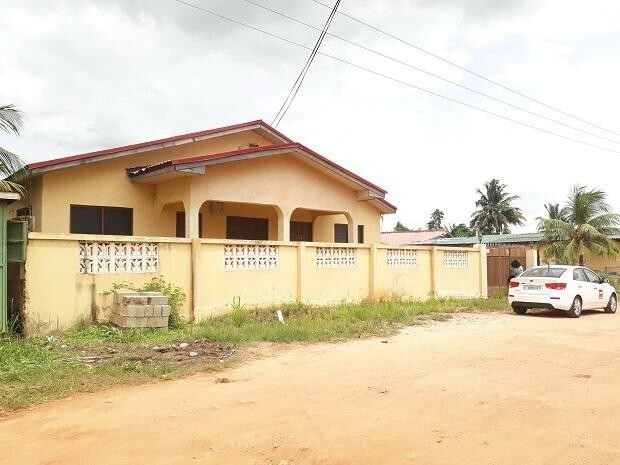 This beautifully designed detached house is located around the Haasto-Ecomog Police Station in Ecomog. The property offers six bedrooms (Master en-suite), spacious living/dining area, open kitchen and a storeroom nicely laid-out. Also available to the property are; well kept lawn and an ample parking provision. Sign-up and receive Property Email Alerts of Houses for sale in Haatso, Accra.